Discover ChinoAlphaWolf VLOGS's Youtube and Instagram stats, most viewed videos and tag analysis. Get inspired by discovering the TOP 100 Youtube videos of ChinoAlphaWolf VLOGS. I CAUGHT KYRA LOOKING AT MY EGGROLL!!! I ASKED HER IF SHE WANTS TO MOVE OUT OF LA WITH ME!!! I MADE MY FINAL DECISION WHERE I'M MOVING!!! 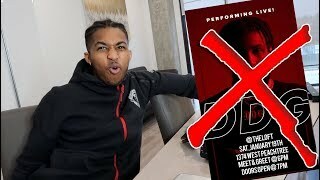 YOUR CONCERT IN ATL GOT CANCELED PRANK ON DDG!!! Discover which video tags are used by ChinoAlphaWolf VLOGS for the most videos.